Despite the weak data on the PMI index, GBP is staying strong against USD. The Brexit deal is still an influential factor for GBPUSD. 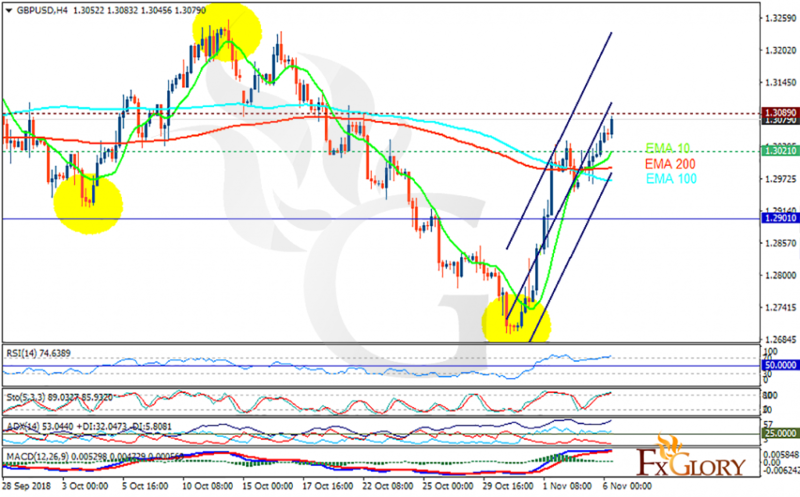 The support rests at 1.30210 with resistance at 1.30890 which both lines are above the weekly pivot point at 1.29010. The EMA of 10 is moving with bullish bias in the ascendant channel and it is above the EMA of 100 and the EMA of 200. The RSI is moving in overbought area, the Stochastic is moving in high ranges and the MACD line is above the signal line in the positive territory. The ADX is showing buy signal. The resistance level breakout can push the pair up towards 1.313 and then sellers can return to the market.